Did you ever wonder how Amazon gets your purchased products to your door in seemingly no time at all? They have distribution centers all over the world (one being built near me right now)! Massive centers full of products of all types, totally organized, and ready to ship to customers. I bet you didn't know that many, maybe the majority, of those Amazon products are shipped from normal people just like us. We buy them, ship to Amazon, and they sell and ship to the customer. 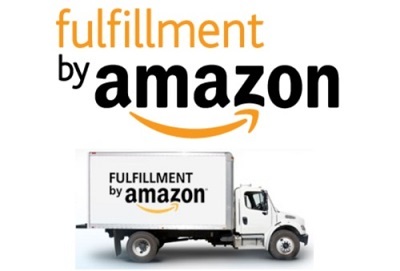 FBA Sellers use an Amazon app on their cell phone. They visit local stores, scan sales items, and buy when it makes sense. They have a process to ship to Amazon and they earn money. Others find a category they know they can sell well, buy in bulk, and send to Amazon -- some never even touch the product as the manufacturer sends it to Amazon each time they call in another order. I don't pretend to understand it all. I don't do FBA... but I know several people I've met at conferences who are all in because they make good money doing this. The Selling Family Can Help you do this! I met Jessica, the Mom business owner at The Selling Family website in 2016. Her family business is focused on Amazon selling and helping others do the same. Their story is really amazing... both were laid off from work, and started selling on Amazon to make ends meet. Today, they live comfortably, raising a child, and neither do traditional work. They both work from home, a few hours a week -- and earn more than most do working full-time. They have an Amazon Bootcamp program to learn, step by step, via videos, how to do this! They have lots of different programs for purchase... because they have studied this for years now and worked with so many sellers. They ROCK! Click on the image here, to visit the Selling Family site... then click on the BLOG at the top, and read some of the informative articles on the FBA program. That will tell you if this home biz is for you, or not... right?